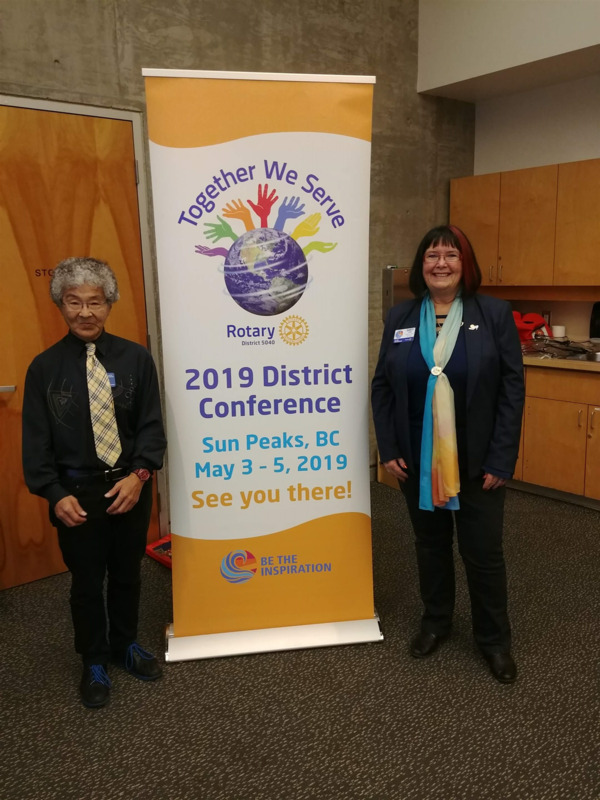 This week we welcomed 10 members as well as our District Governor Darcy Long and her husband Doug, ADG John Bathurst. We also welcomed Trevor Stokes who is a teacher at the Streetfront Alternative Program and Interactors Kasimir, Alison and Salma. 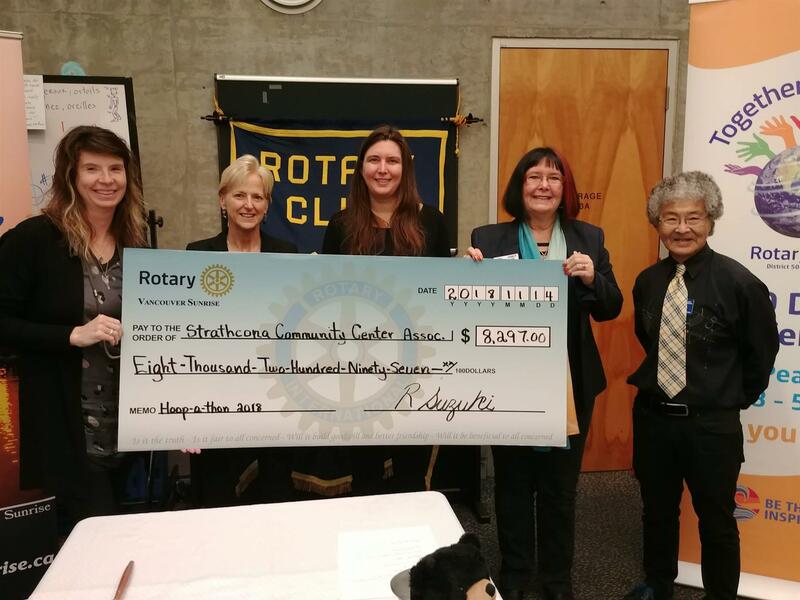 We had Holly and Dawn from Strathcona and Thomas Miller from Rotaract. * Trevor Stokes told us that they raised $49,000 at the event where we helped serve the pancake breakfast. 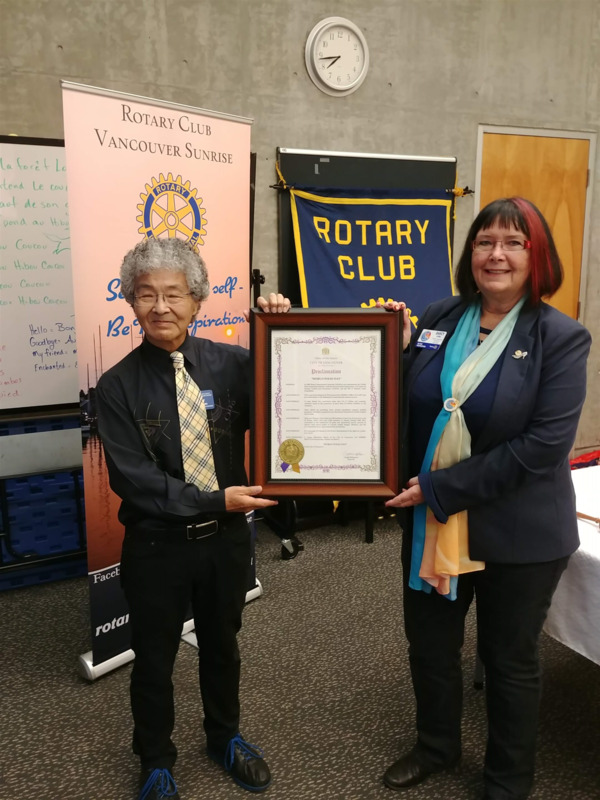 Today was our guest speaker was District Governor Darcy Long who spoke about the power of being part of an organization with a presence in 200 countries and 1.2 million members!